A summary of results from surveillance work carried out by the VMD's pharmacovigilance team concerning reported adverse events. A Veterinary Medicines Pharmacovigilance Annual Review 2016: Summary (PDF, 262KB, 6 pages) of the key results from the Veterinary Medicines Pharmacovigilance Annual Review 2016. 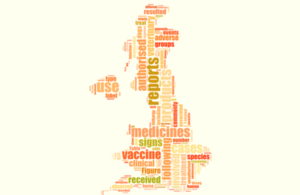 The annual review summarises the 6559 UK adverse events in animals, humans and the environment after use of veterinary medicines and other products reported to VMD in 2016.